Agva… Near Istanbul, a world paradise in which nature shows all its talents… Agva is a natural miracle that leans against a very green forest, faces a very blue sea, and is between two rivers. Agva attract itself the people that want to escape the complexity of the city during four seasons. It is possible to have a completely different world and to experience a dreamy holiday in Agva after a very short trip. Agva, which has a 97 kilometers distance to Istanbul, provides ideal opportunities for a peaceful holiday. Agva is a rich district in terms of hotels. In addition, hotels and motels of Agva attract attention with their peculiar architecture. 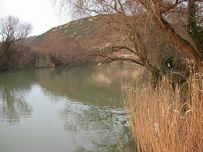 If you are looking for a hotel in Agva, you can find most of them near Göksu River. In addition to those near Göksu River, there are facilities in the center of Agva and near Agva Seaside. How to go to Agva? Where to stay in Agva? What can I do in Agva? Access to Agva is very easy now… You can access Agva by following highway between Istanbul and Sile, by following different routes between Sile and Agva. If you want to stay in a hotel or motel during your trip to Agva, hotels and motels that are near Göksu River and in the center of Agva and that compete with each other in terms of quality are waiting for you.